In the northern Aleppo countryside, hospitals and health centres are unable to meet necessary requirements due to lack of equipment, supplies, medicines, and staff capacities. Additionally, the growth of the area’s population and the arrival of newly displaced persons due to population movement from other areas in Syria has placed further pressure on the already fragile health infrastructure. Rehabilitation of three hospitals and health centres, including repairs of current damages, expansion of the Surgery, Outpatient, and Dialysis departments, as well as expansion of the nursery ward and establishment of a Laboratory department. Rehabilitation of two medical storage facilities, and three offices each equipped with laptops, printers, filing cabinets, desks, chairs, and office accessories. Cold chain equipment will also be included, in addition to two medium-sized transportation trucks, and one forklift with a 2-3-ton load capacity. Rehabilitation of IE’s Headquarters, including establishment of 10 offices equipped with office furniture, and establishment of two training halls equipped with office tools. Establishment of an ambulance maintenance and parking facility, including ten parking spaces for ambulance, and two offices equipped with laptops, printers, desks, chairs, and cabinets. Rehabilitation of four available ambulances, comprising maintenance and provision of medical equipment. Procurement of consumable goods; medicines for health centres, Laboratory consumables for health centres, maintenance consumables for medical storage facility vehicles, maintenance consumables for ambulances, and fuel for ambulances. Salary support to IE staff, medical storage facility staff, emergency department and ambulance staff, and health center staff. Training for IE and its project staff in project management skills, data management skills, and clinical training for medical staff. With total budget of EUR 3.4 million, the project is due to complete its implementation within a period of 24 months. 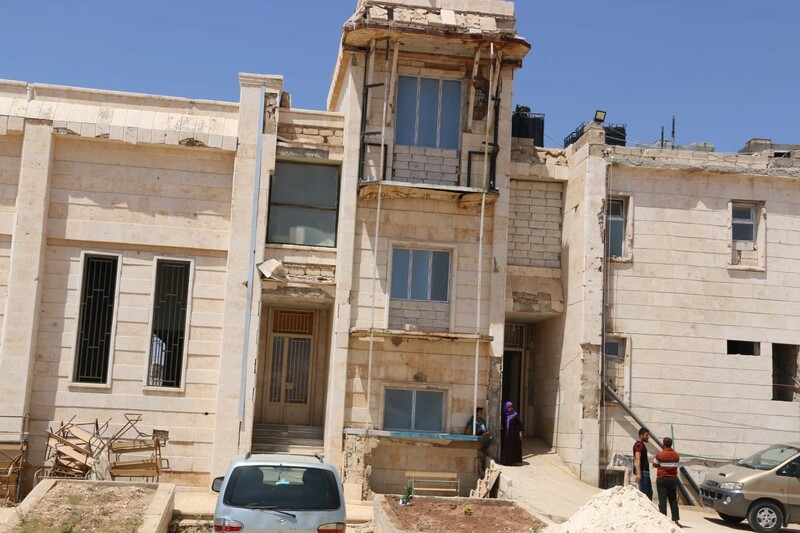 By filling critical gaps in the health infrastructure, this project is expected to impact an estimated 80,000 patients, indirectly benefiting over 400,000 people in the northern countryside of Aleppo.